Our qualified technicians will do the work for you in less than an hour! * Avoid line-ups. Contact us to book an appointment for a quick and efficient tire installation on your vehicle. Each change of season brings about a change of tires. No need to worry! 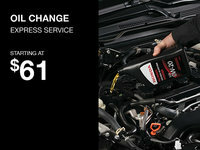 At Spinelli Honda, we take care of you. We offer a multitude of tires from several brands. Our programs guarantee you good service and good prices. Whether you need to store your tires, protect your vehicle, stop waiting or have the best price on your tires, Spinelli Honda offers you more and more value for money. You only have one hour to install your summer or winter tires? Stop in at Spinelli Express Tires. Change and store your tires, and you’re on your way! Make an appointment by phone or by email. You’ll be given an appointment in the next 48 hours, guaranteed.